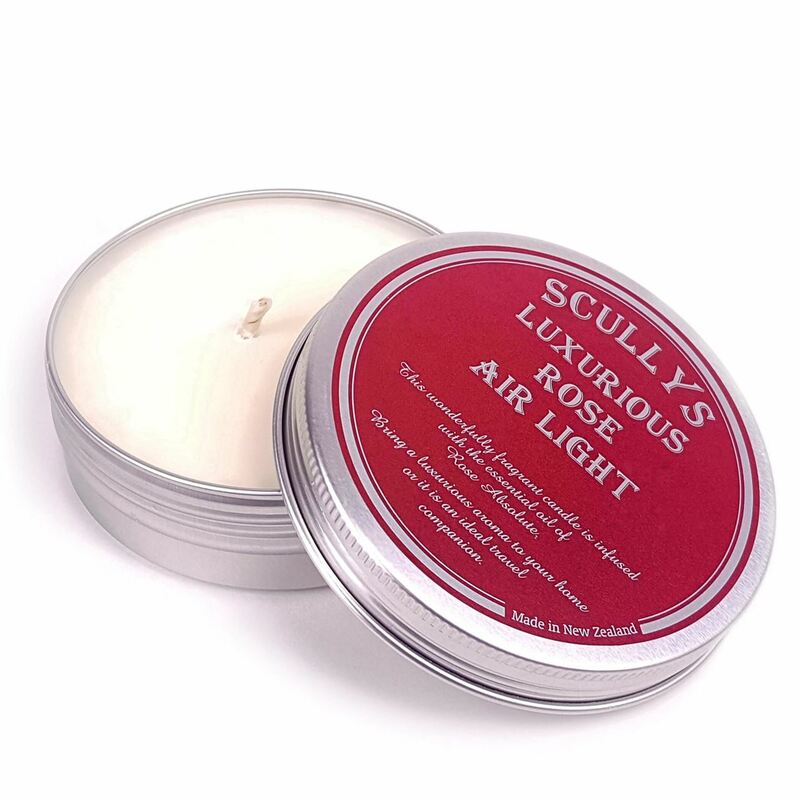 Luxurious Soy Candle in a tin, made by Scullys in New Zealand. Beautifully scented in oil of Rose Absolute. Perfect to add to your flowers or gift basket.